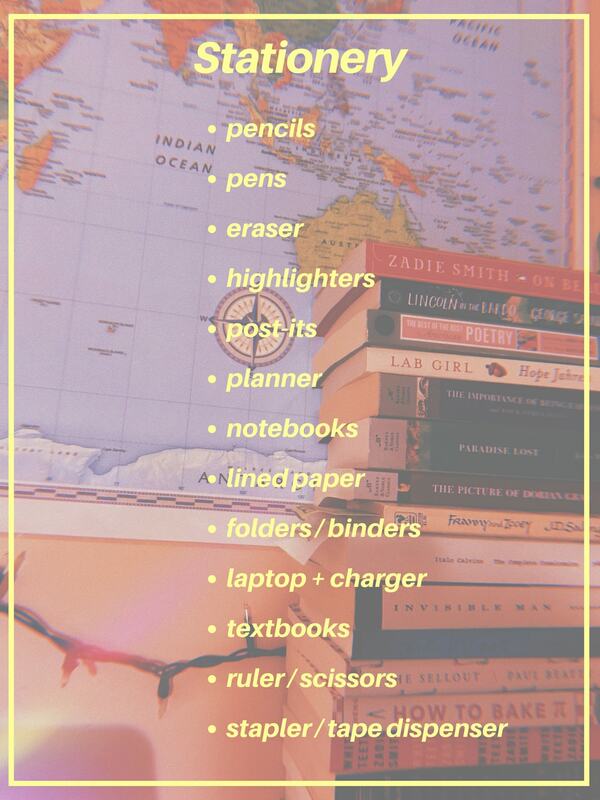 Here’s what should be on your school supplies checklist. 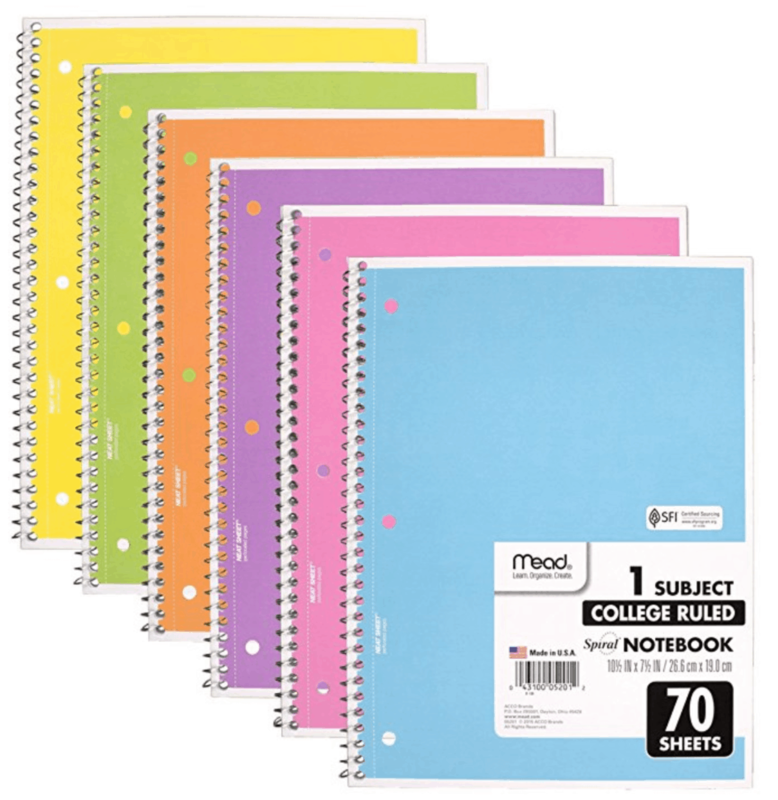 We interrupt your regularly scheduled summer programming with a thorough guide to the world of COLLEGE SCHOOL SUPPLIES SHOPPING! Do not fret, the days of golden sunsets and gingham picnic spreads have not drawn to a close. . . yet. We’re just of the mind that it’s better to start preparing early for back to school. 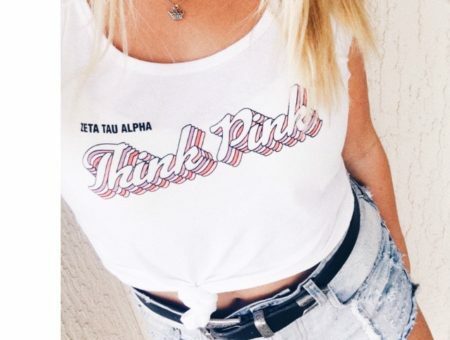 We’ve already shared a list of clothes for college to get you organized on the wardrobe front. So over the next few weeks, we’ll be sharing guides to any supplies you can think of — laptops, planners, pens galore. 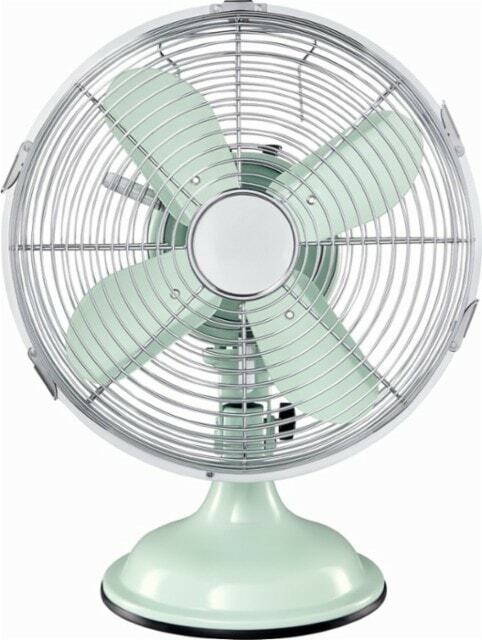 And don’t forget — dorm decor. 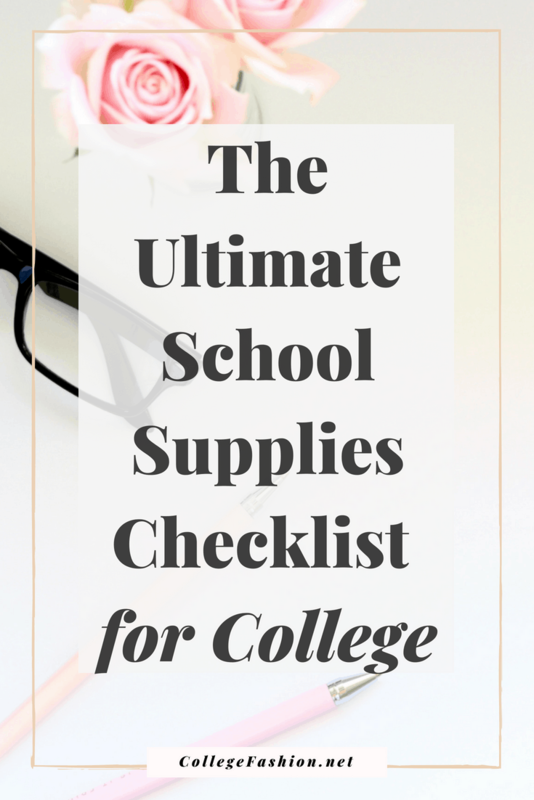 To get you started, today we’ve compiled a comprehensive list of the college school supplies you really need, with our school supplies checklist and links to cute products online. So kick back, enjoy the ride, and pop those sunnies back on! Everyone’s favorite, the pizzazz to your studying routine, the dessert of this guide if packing were a three-course meal. . . Well, life’s short, so why not eat dessert first? The basic building block of all schoolwork, ever. Where would we be without our Ticonderogas, or better yet, their mechanical counterparts? 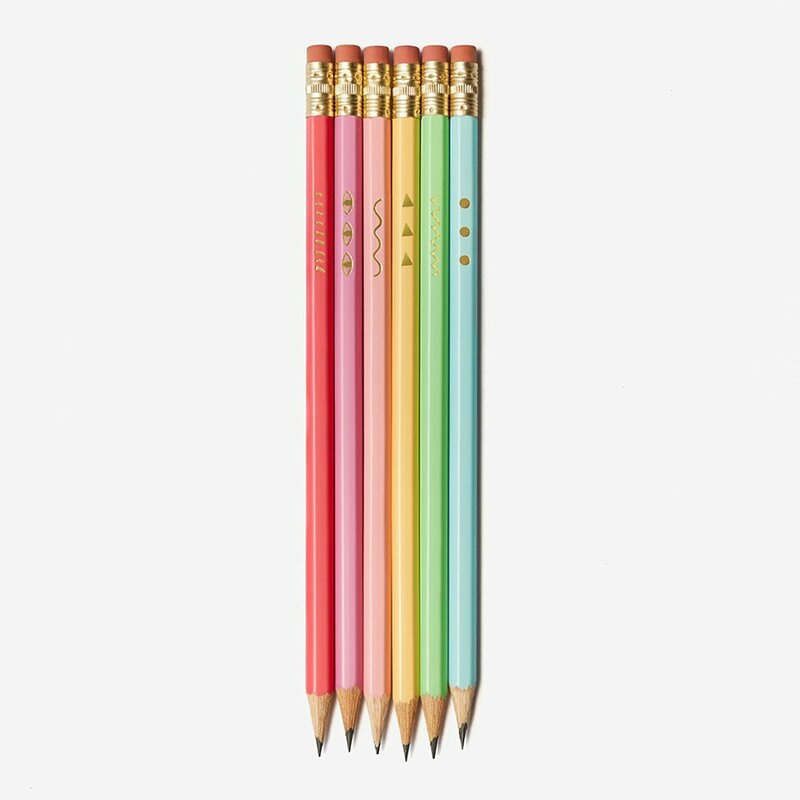 These cute rainbow pencils will definitely look pretty in your pencil case, or on your desk. Graphite pencils are a must if you like to incorporate some art into your notetaking or bullet-journaling. Black, blue, and red recommended. The former two for writing essays and signing documents, the latter for corrections! 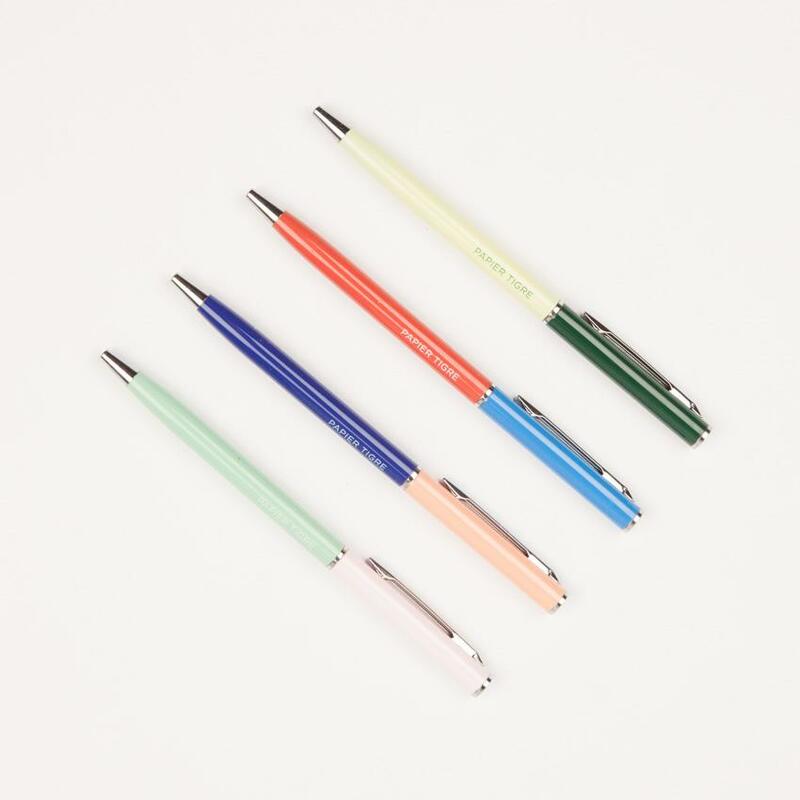 These ultra-fancy Papier Tigre pens are not your average writing implements — they’re about a million times more stylish. Throw it back to middle school and use colorful gel pens to write out your notes – so pretty! Can’t get enough of cute writing utensils? 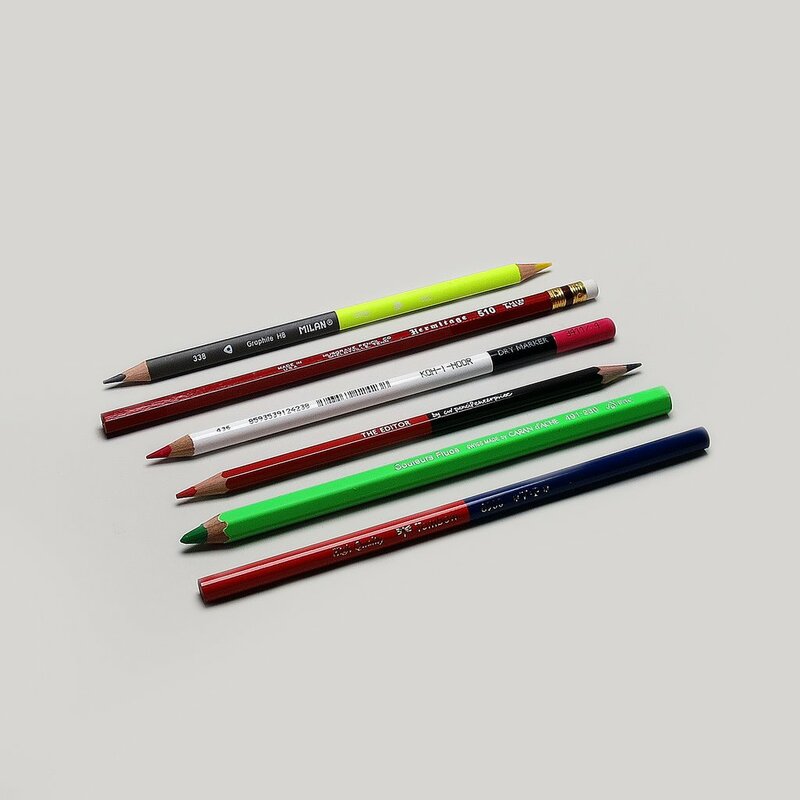 Check out our post on cute pens and pencils for college. Lost to the ages, or never finished. . . such is the fate of a well-worn, well-loved eraser. Everyone makes mistakes, take this guy along to face them together! 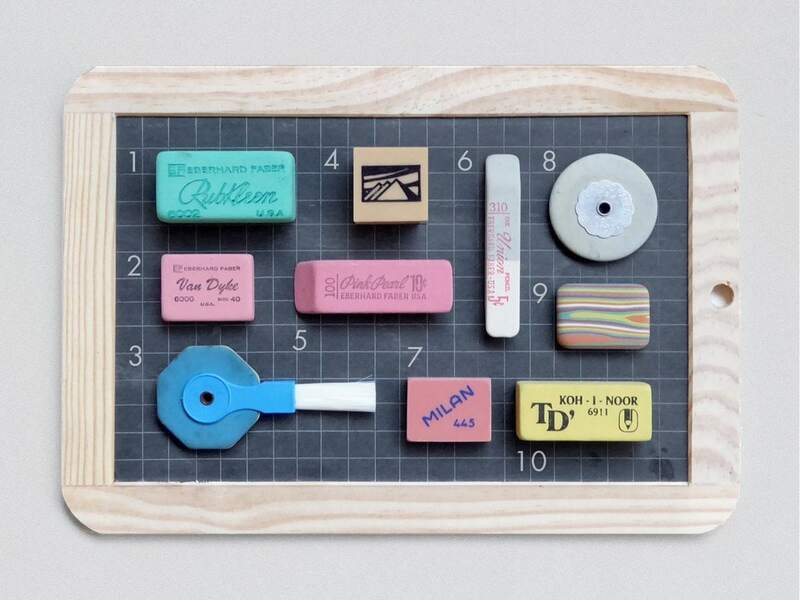 Again, this fancy eraser set is way cooler than what you’d find at the average school supplies store. So chic! 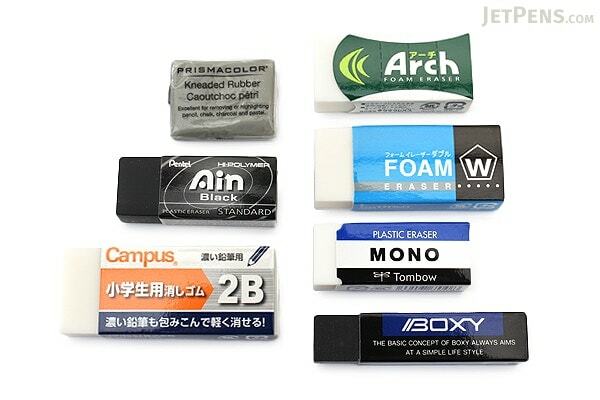 If you need options when it comes to erasers, this affordable set is the perfect pick. Absolutely love these for giving notes that extra sparkle. Need more organization? More color, more excitement? Look no further! 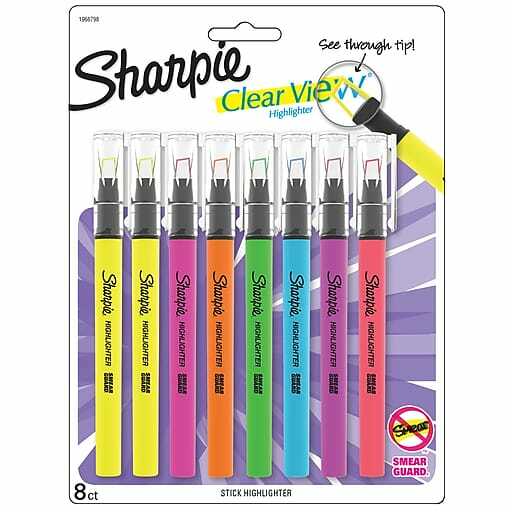 If you like your highlighters bold and bright, these colorful ones from Sharpie are a great pick. 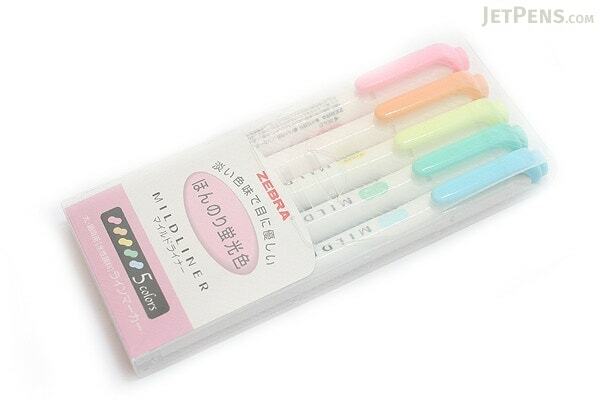 Zebra Midliners are our absolute favorite highlighters for making Instagram-worthy notes. They’re well worth the extra order from Amazon if you ask us! 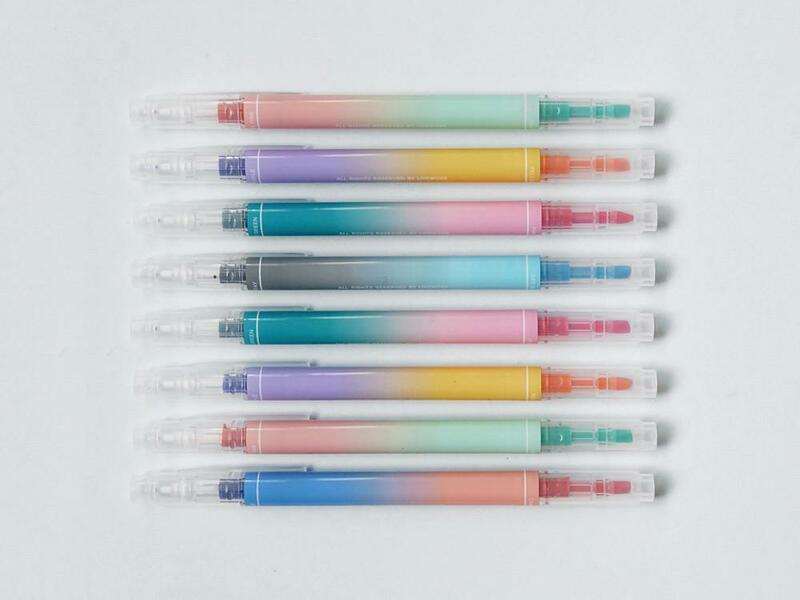 These colored pen highlighters are so pretty, with their gradient styling and dual-ended design. You need somewhere to stash all these writing utensils, so be sure to check out our guide to cute pencil cases for college students. Very useful for jotting down wayward thoughts! Stick them all over your desk and admire your handiwork. 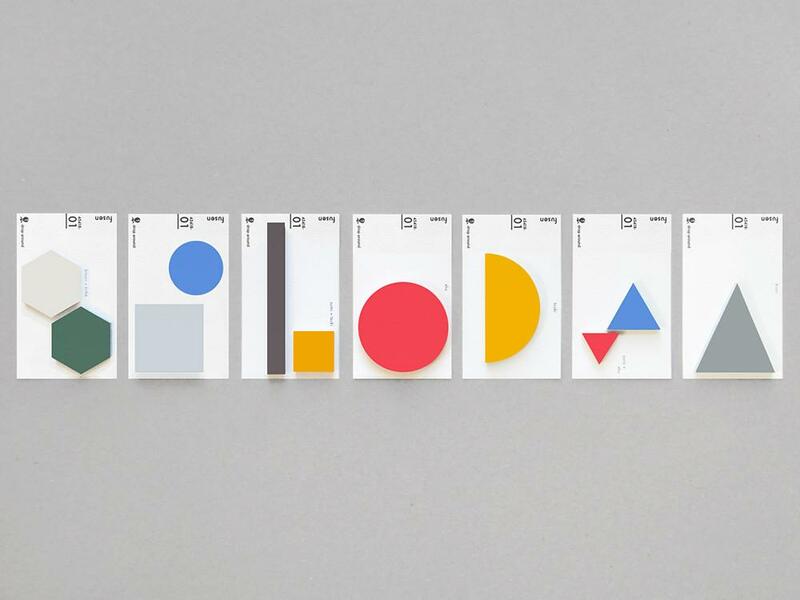 For modern art fans, these geometric shaped sticky notes are a must-have. 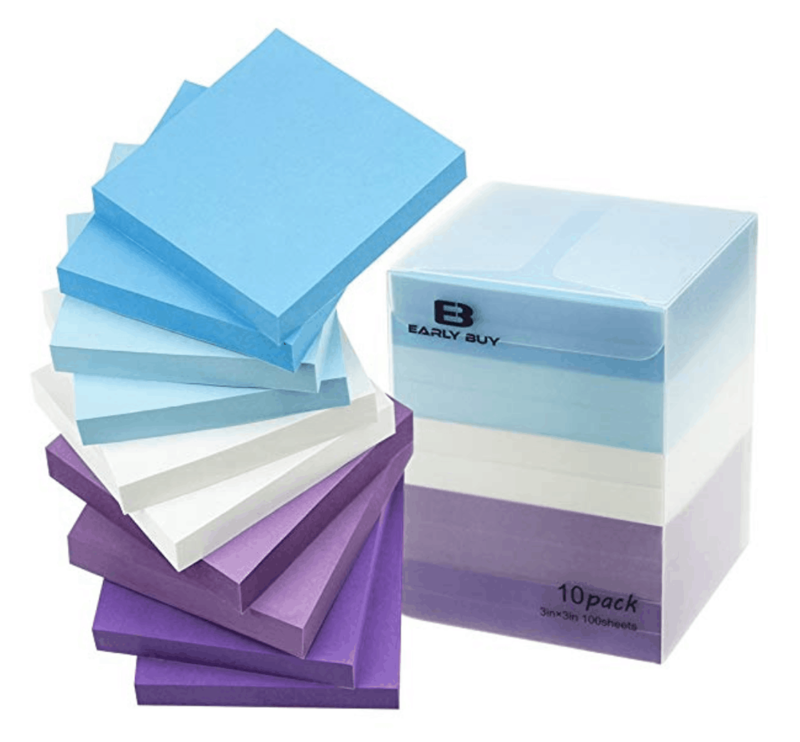 How nice would this purple, white, and blue sticky note block look on your desk? 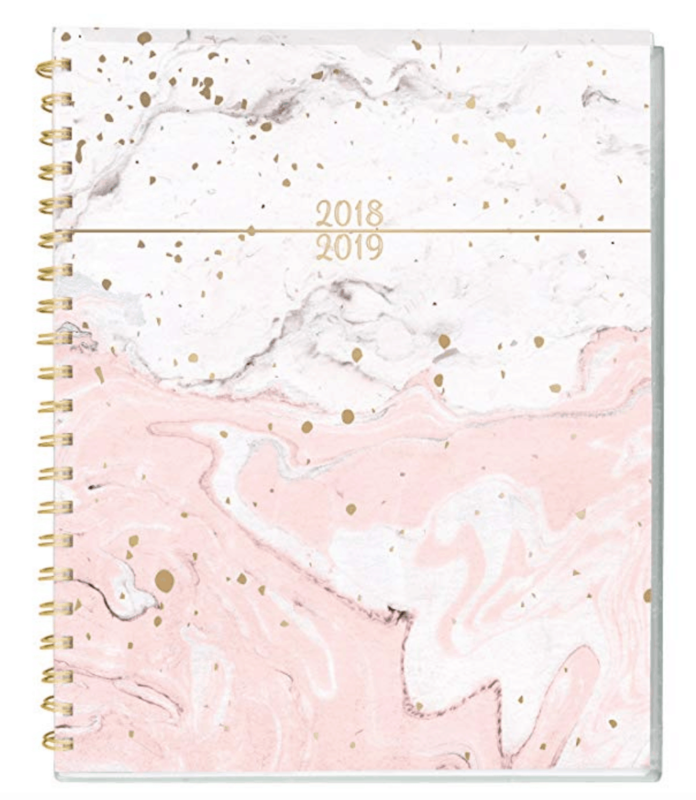 This pink marble daily planner from Mead is affordable and incredibly cute. It’s also available in small and large sizes to fit your lifestyle. 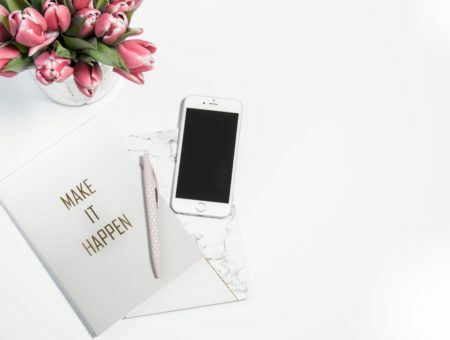 Poppin makes tons of adorable desk supplies in every color of the rainbow (if you haven’t checked out their website yet, you need to), and this daily planner comes with five star reviews. Want to see more of our favorite planners? Our full guide to cute planners for college will keep you organized all semester long. Need I say more? 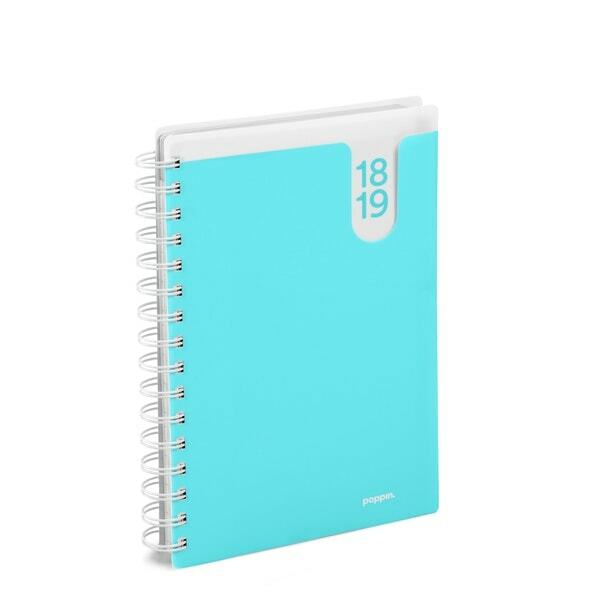 We all like a fresh notebook. 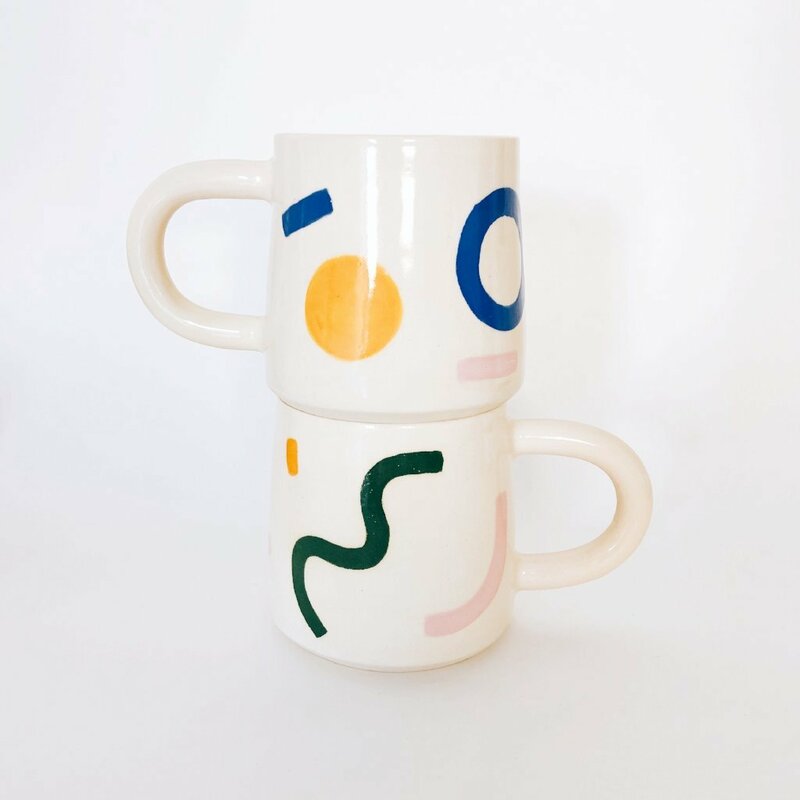 Fill these up with your most brilliant thoughts (and doodles). 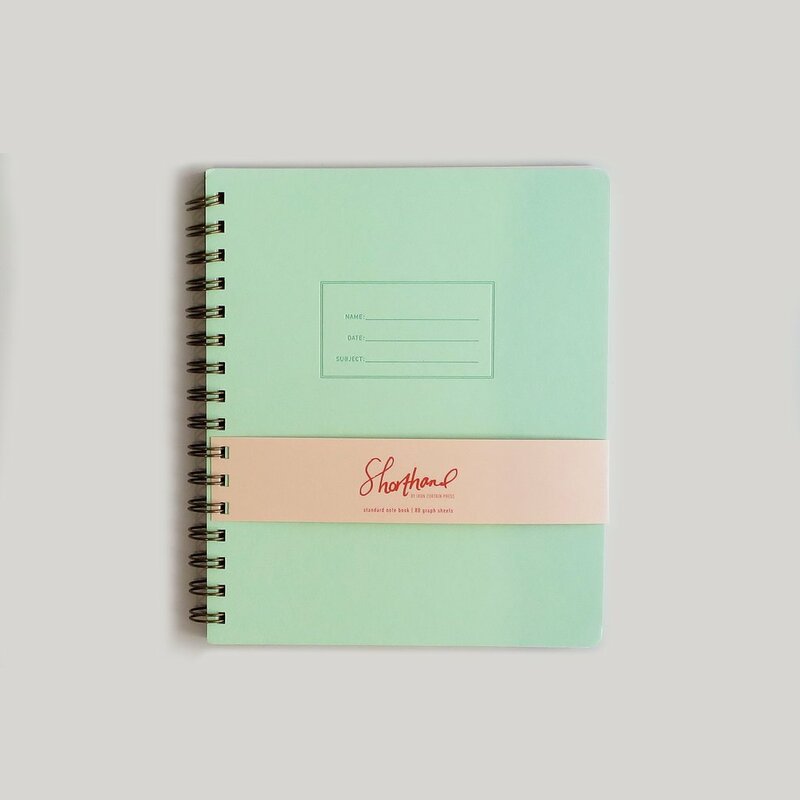 Mint is a non-traditional shade for a notebook, so naturally we love it. Stand out from the crowd in your lecture hall with this pretty pick. This fun take on the classic “blue book” is so cool, yet feels traditional at the same time. 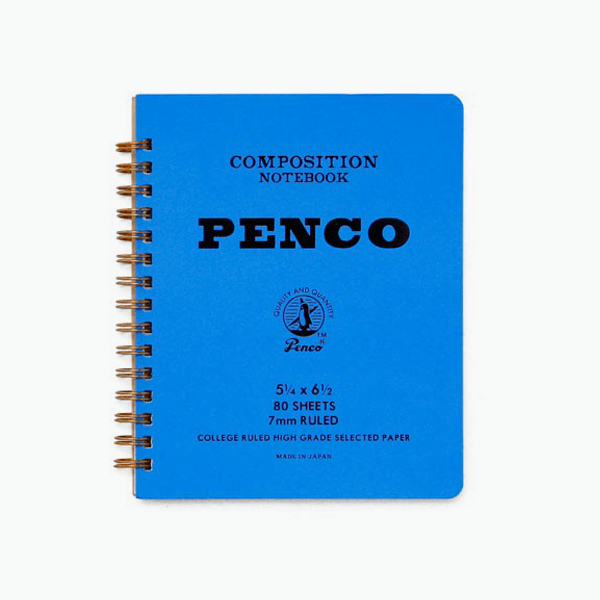 These classic Five Star notebooks come in a bunch of cute shades, and you can have one notebook per class. 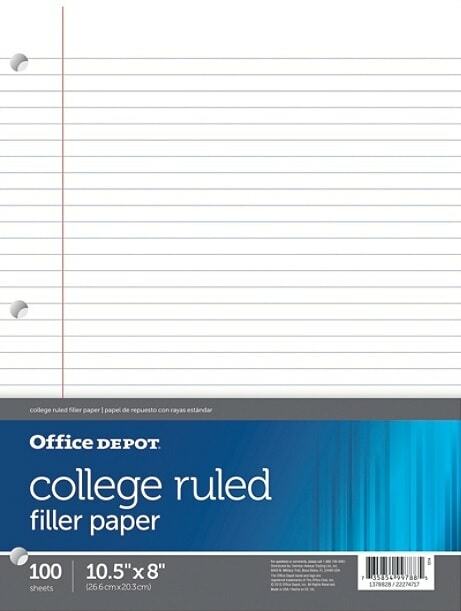 Remember to get “college ruled” to fit the most information on each page! In case you’re more of the binder type of person — I totally understand. Nothing really beats the freedom of using lined paper, and only securing it away when you want to! So many choices! Most colleges seem to provide folder-friendly papers (i.e. not hole-punched) but binders are often more organized. Poppin is a great place to get pretty colored folders. 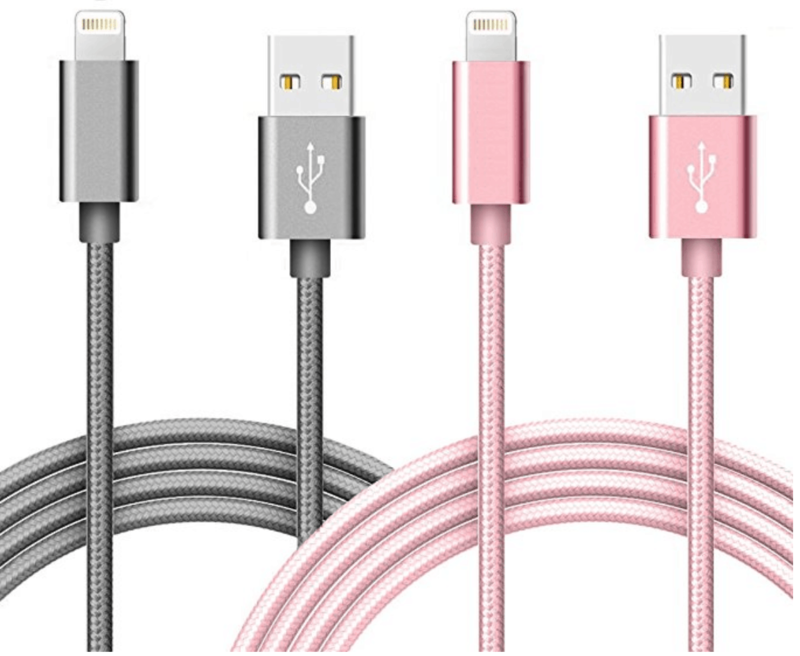 They carry so many colors that you’re sure to find your favorite! 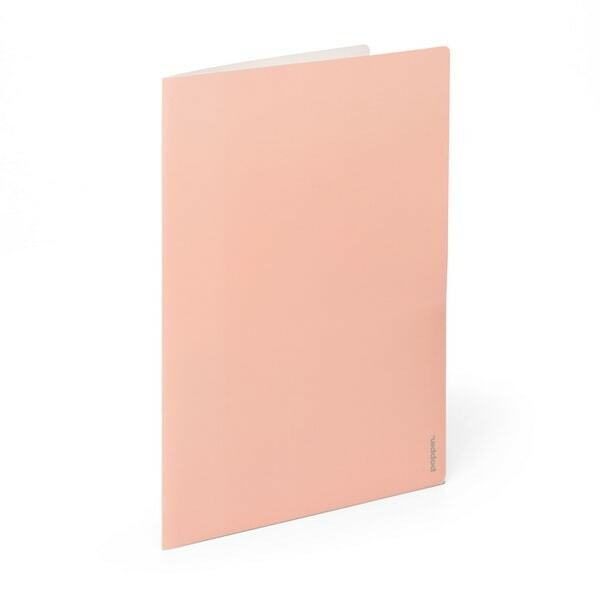 These colorful clear folders will allow you to see the contents at a glance and give off a fresh, modern feel. 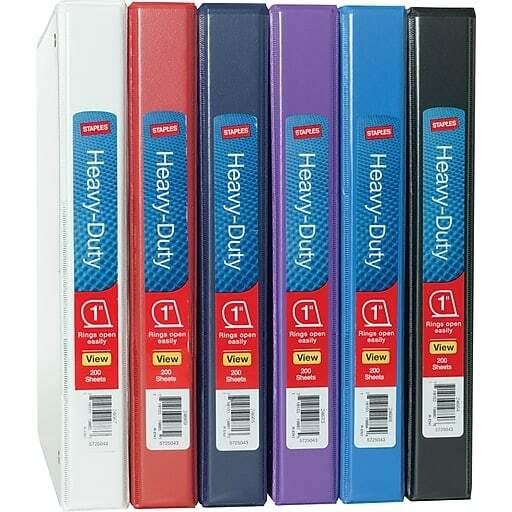 You can’t go wrong with a classic binder and staples has about five million options to choose from. You might think you won’t need these, but you never know. Whether you’re doing math, arts & crafts, opening packages, designing posters. . . you’ll want both of these at your disposal! 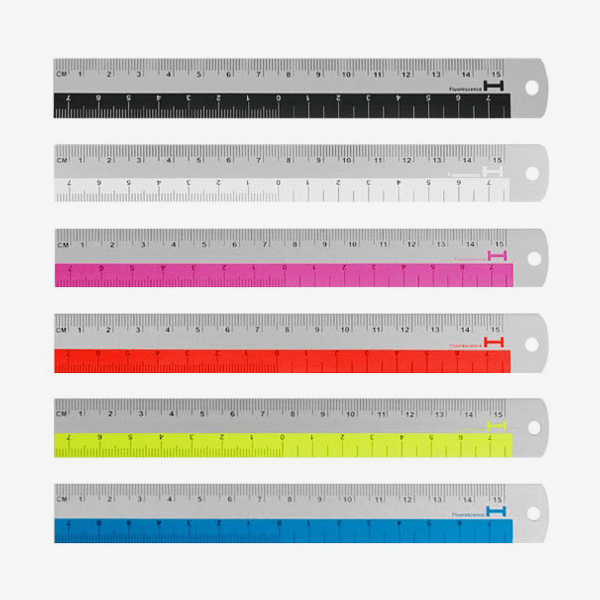 Who would opt for a boring ruler when you could buy a colorful ruler instead? No one, that’s who. 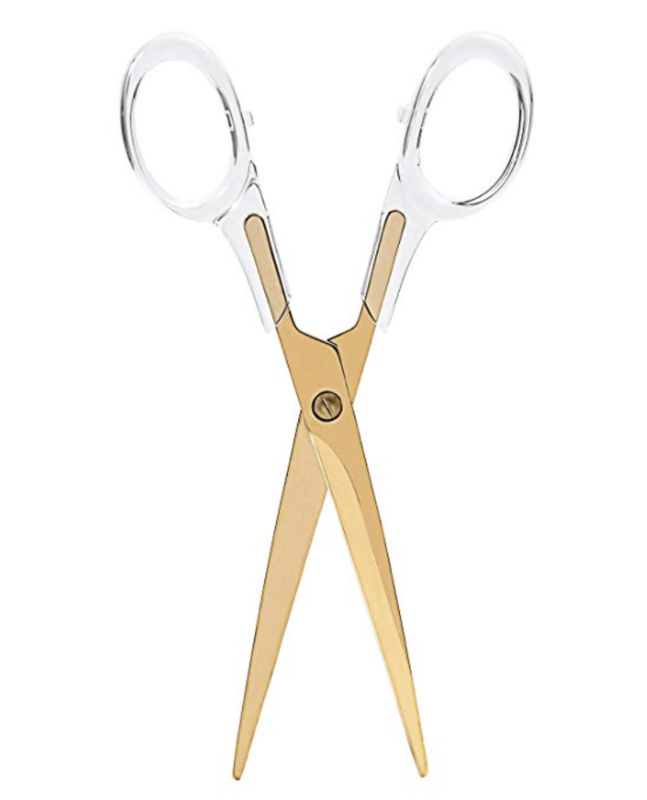 Forget basic scissors and opt for these shiny gold ones, sure to spruce up any desk space. 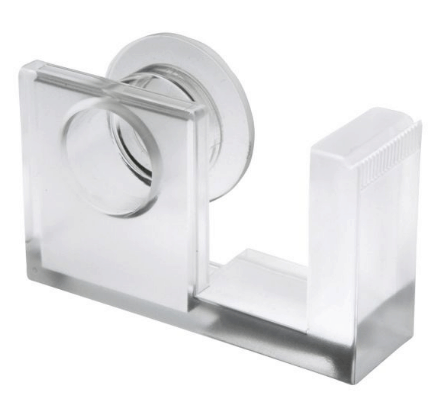 Muji’s minimalist tape dispenser looks modern and will go with any type of decor. 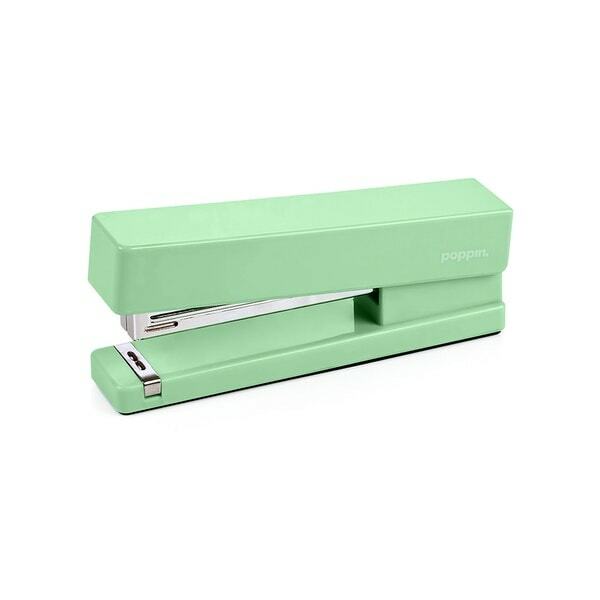 This retro-chic stapler is so much nicer than your standard silver option. 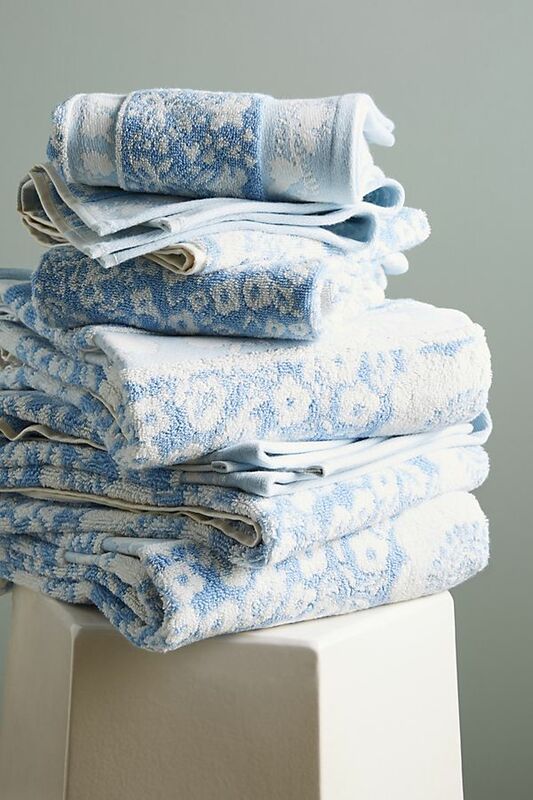 Here at CF, we’ve covered dorm room must-haves a lot (be sure to see our posts on dorm room bedding, dorm room furnishings, dorm room storage, and dorm room decor for everything you need). Only the coziest allowed. Bring the one from home or refresh and buy a new one! 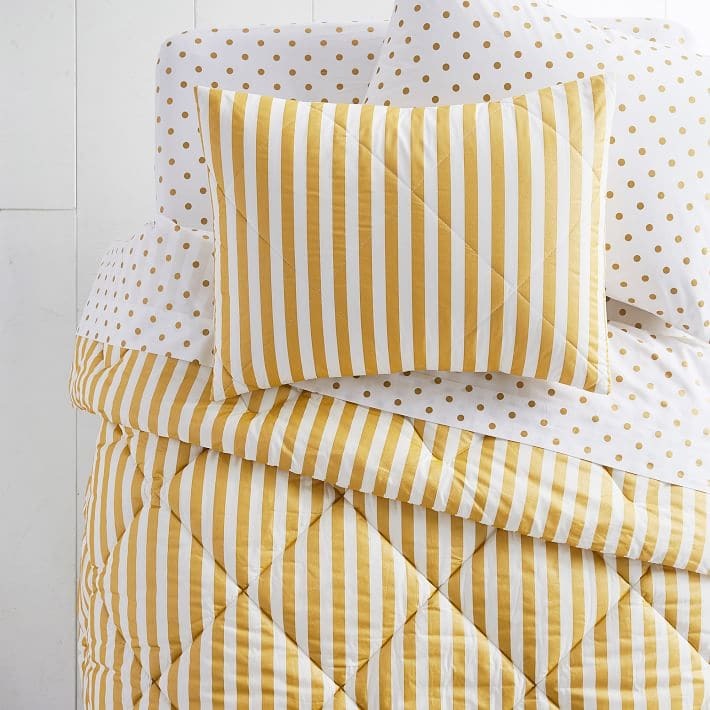 See our guide to dorm room bedding for our best tips for buying one of these, plus our top picks. 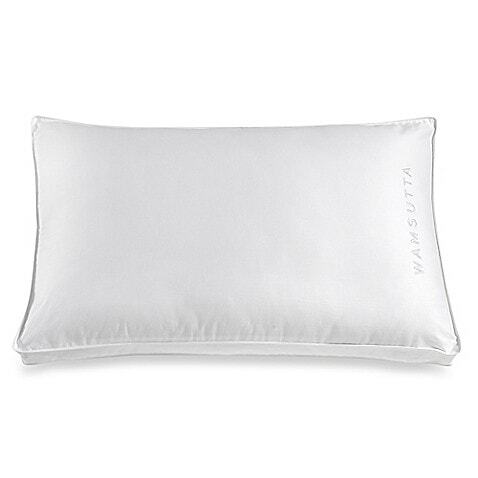 A must for clocking in a solid eight hours, an even bigger must for bringing to impromptu movie nights, and of course, a good pillow fight with your roommates. The standard is Twin XL! 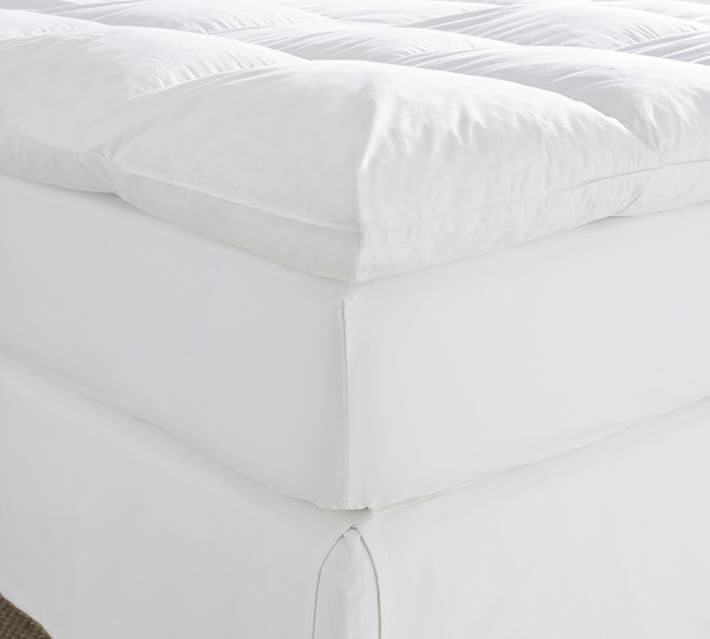 Again, we cover these in our dorm room bedding guide. 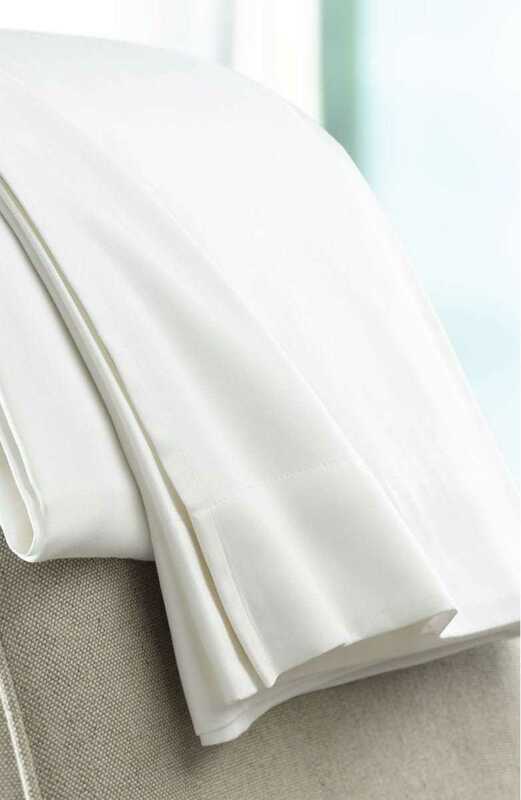 Go the extra mile in the name of comfort! 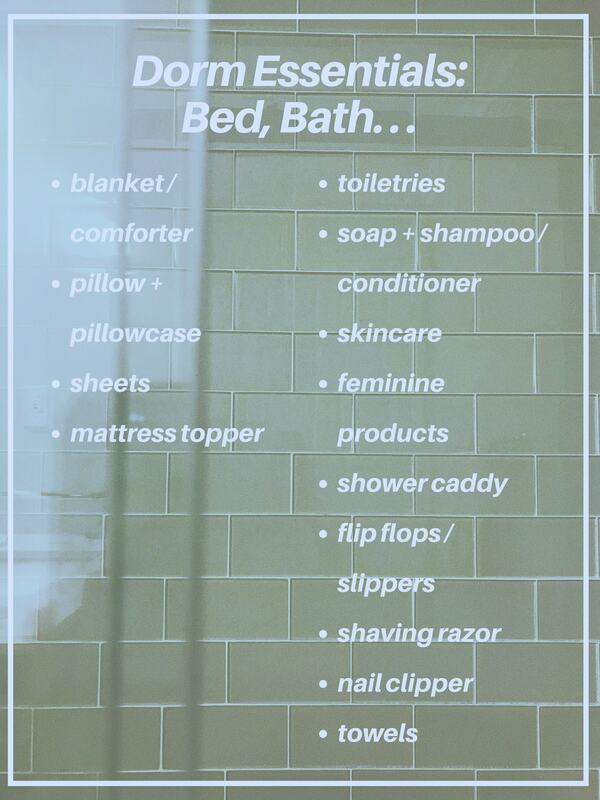 You guys probably know that this includes your toothbrush, toothpaste, floss, and face wash! Personality quiz: are you more of a bar soap or body wash person? So important! Keep your face fresh and protected (always wear sunscreen!). Here’s our basic guide to skincare if you need to establish a routine. Assume the role of the mom friend and always have a pad/tampon tucked away in case someone needs it! Walking what seems like miles just to reach the bathroom on the opposite end of the hall (oops, anyone else have this problem?) has never been easier, or chicer. The showers get gross sometimes — protect your feet! A cute pair of bedroom slippers can up the dorm room experience, too. 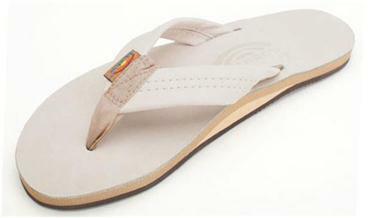 Rainbow flip flops are classics and these beige ones are nice and neutral. 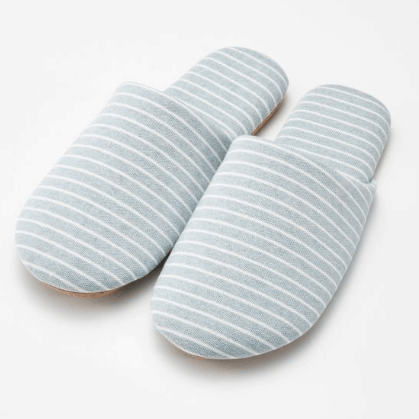 These cozy Muji slippers are both functional and adorable. When you ever feel the need to shave, it’s ready. Often forgotten, but oh so important! What gets dirtier the more it cleans? Or wetter the more it dries? A great light source will do wonders for late night studying. 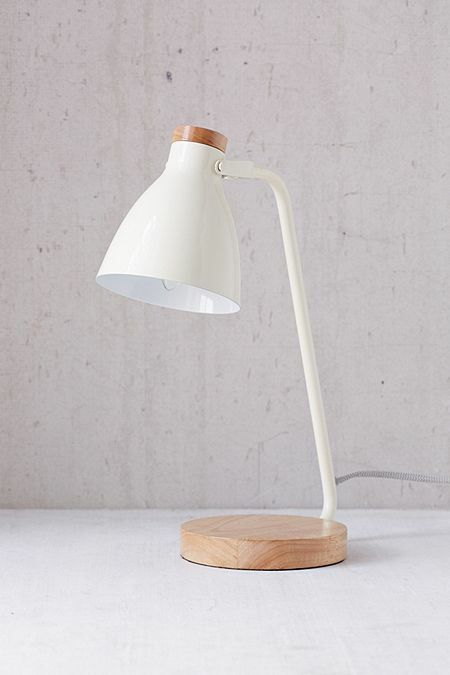 You can’t go wrong with a neutral desk lamp like this one. It’s minimal, functional, and won’t take away from your room’s color scheme. Just in case you’ve got too much tech to handle! Always, always — how many times have I run to my phone charger after a long day out? 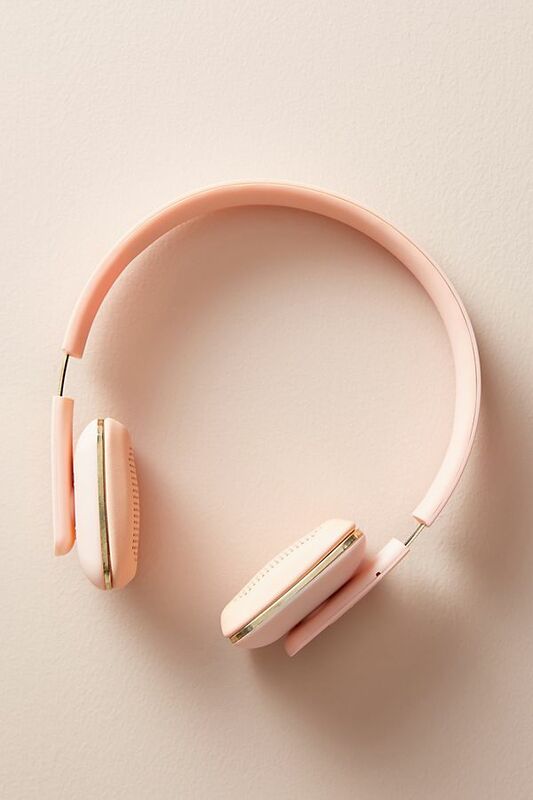 These headphones are so chic and minimal, sure to look great with any ensemble. 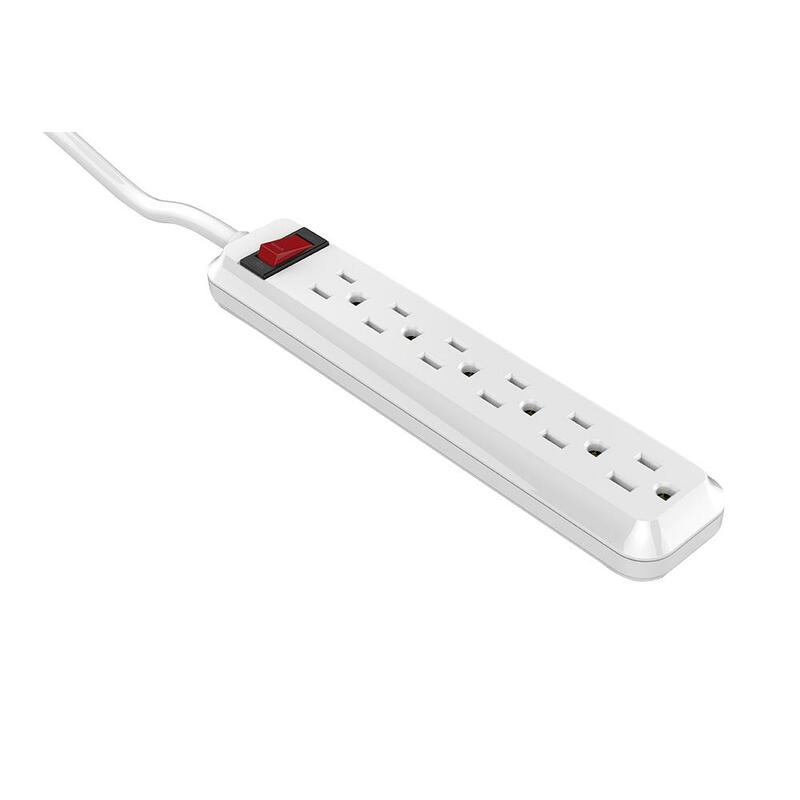 Pro tip: get an extra long charging cord like one of these 10 foot ones as sometimes dorms only come with one or two inconveniently-located outlets. 30. Makeup / Jewelry + Storage! Who would I be without eyeliner? Or an excellent statement necklace? Find a good way to store all your trinkets and thank yourself when getting ready is a snap! 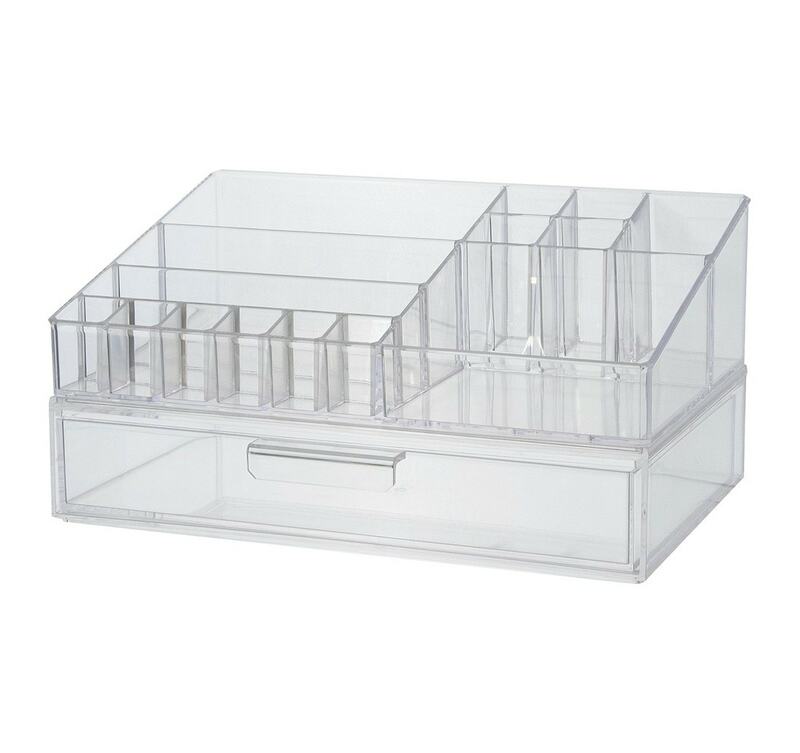 This clear organizer is perfect for storing all of your go-to makeup essentials. 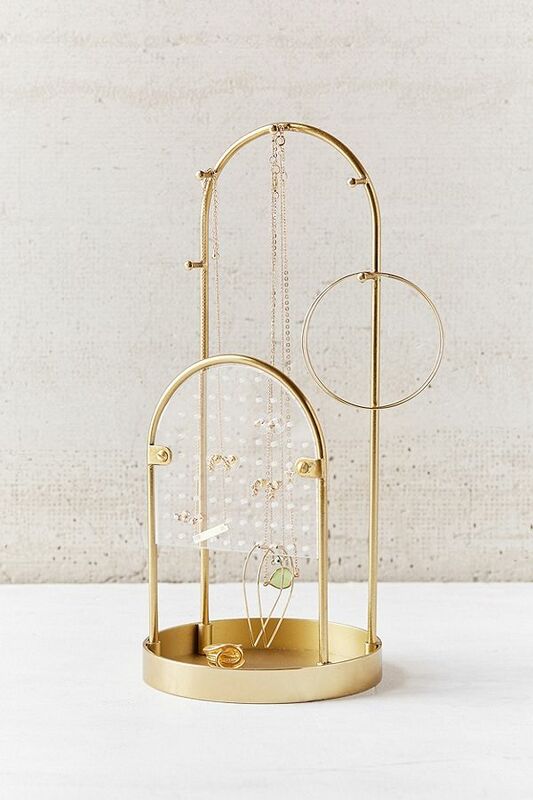 A golden jewelry holder like this one doubles as super-chic room decor. Backpack, tote bag, cute crossbody, pick your favorites! 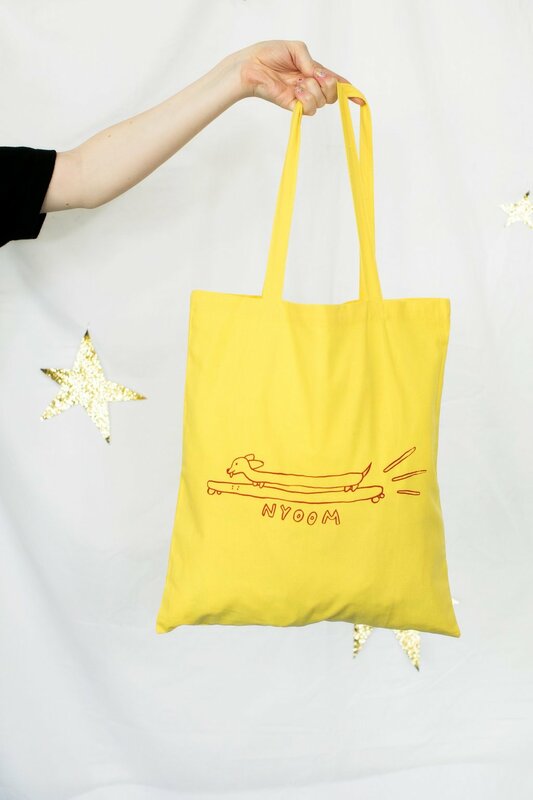 You can’t go wrong with one of Baggu’s legendary totes — they’re incredibly sturdy and well-reviewed! Plus, this one is marked down to just $20 right now! 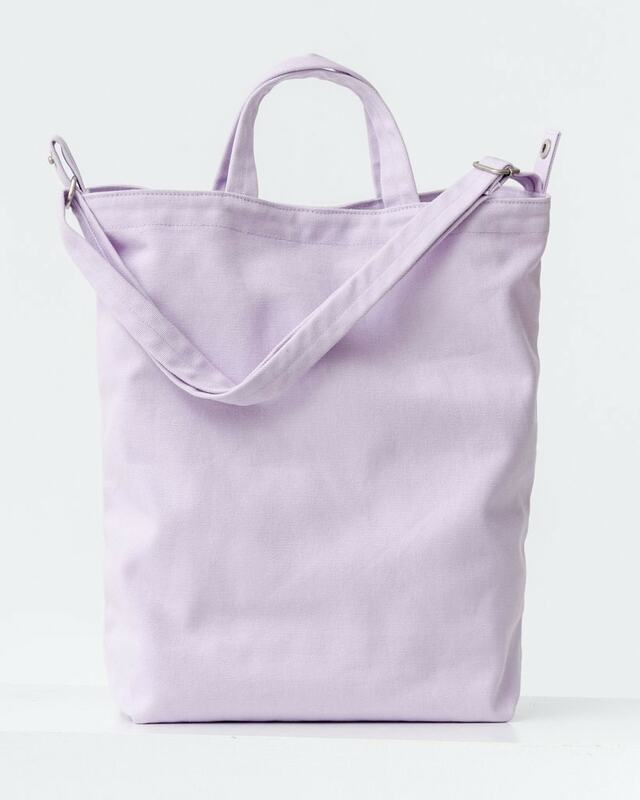 The perfect reusable bag for shopping or schlepping books. Does it get any cuter? Dorm rooms and their lovely limited square footage. Defy your boundaries and create more space! 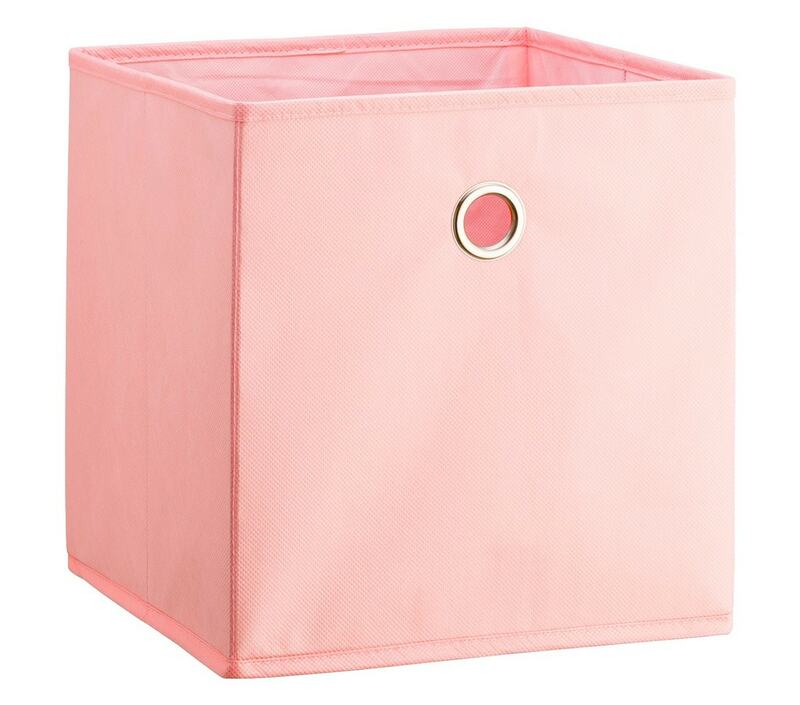 Fabric storage cubes like these are sturdy, colorful, and easy to clean (unlike cardboard storage boxes which can get ruined by errant spills). Also, this one is $4.99 so it’s a no-brainer. 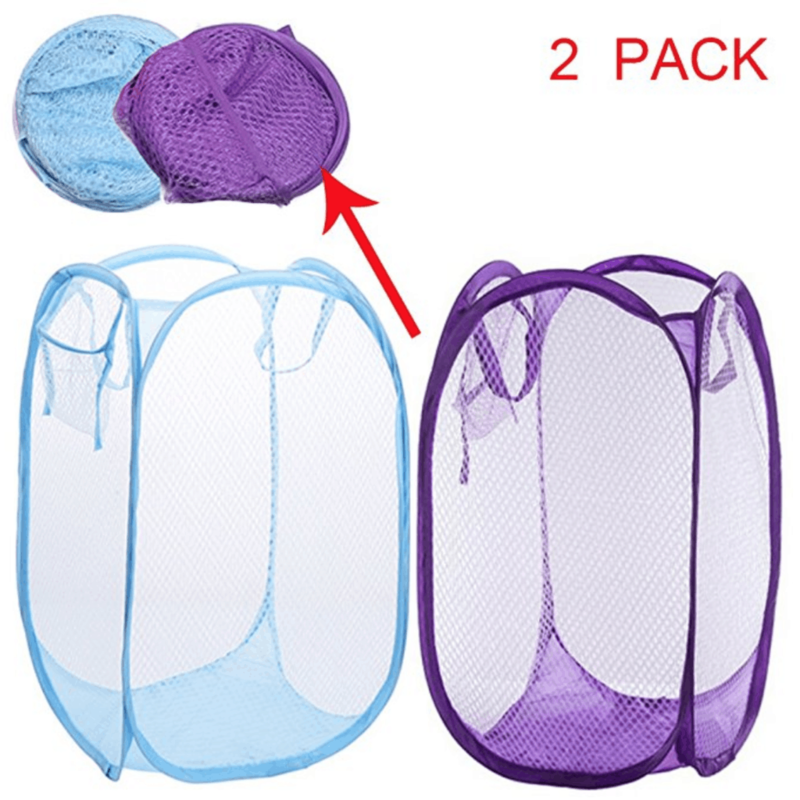 For that weekly trip down to the laundry room. 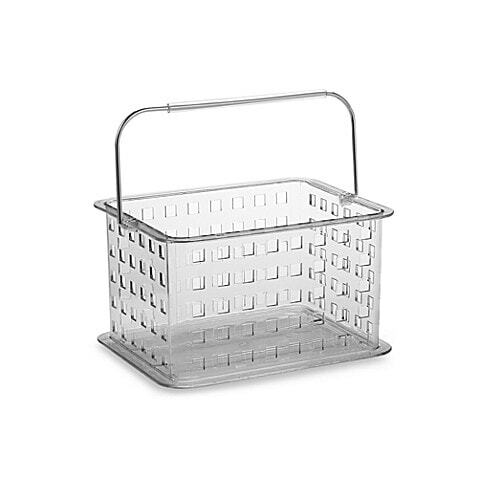 Get one that folds down for easy storage, or buy a set for easy sorting of lights and darks. The more organization, the better! 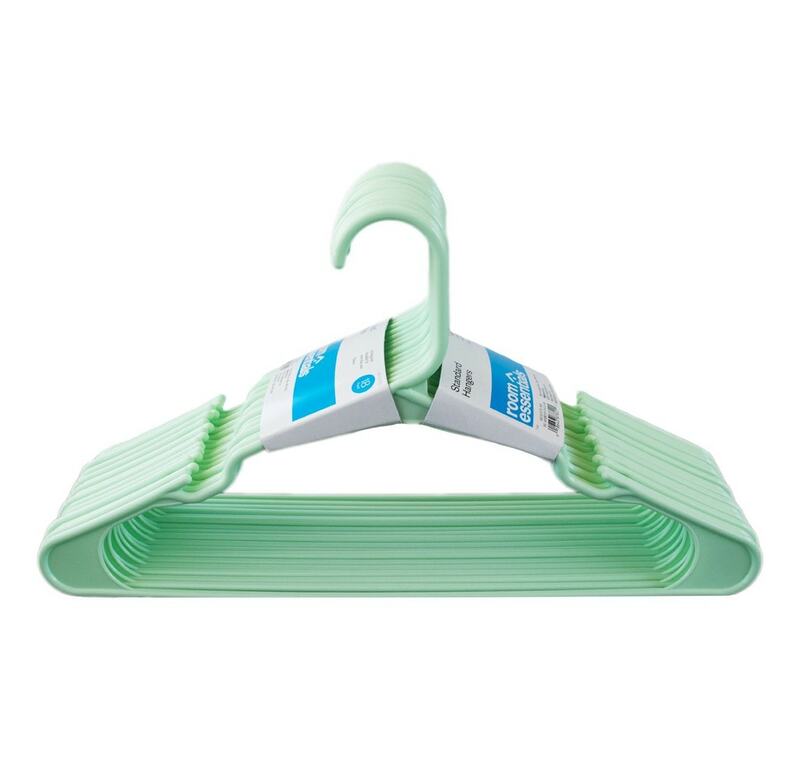 Not a necessity, but definitely handy! 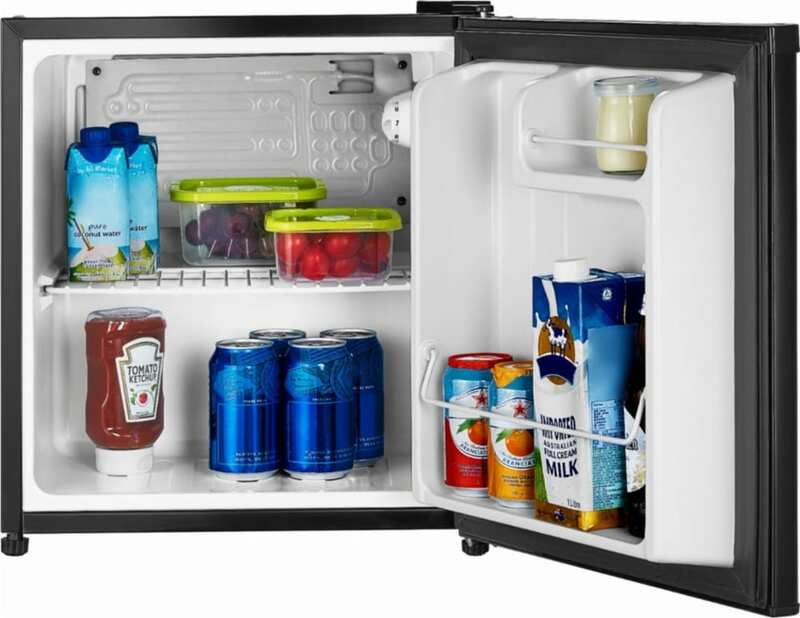 Best for cold drinks and leftovers. Everyone loves a good cuppa tea. College students love a good cuppa the strongest coffee imaginable. Yes! 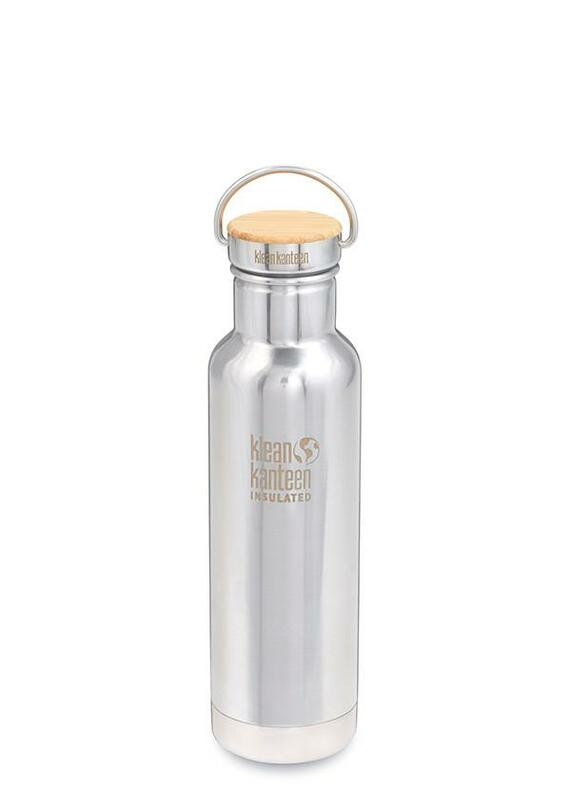 Stay hydrated throughout the day with a reusable water bottle — unlikely staple but very fast friend. Recommended if not already installed in your closet. 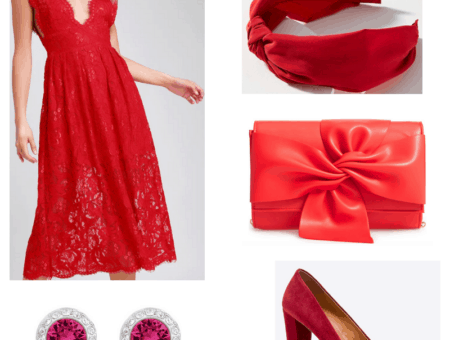 Perfect for planning outfits! Eye masks will help you get more zzz’s, even if your roomie insists on staying up late to study. And if you’ve got a lovable but snoring roommate? Try ear plugs to block out the sound. 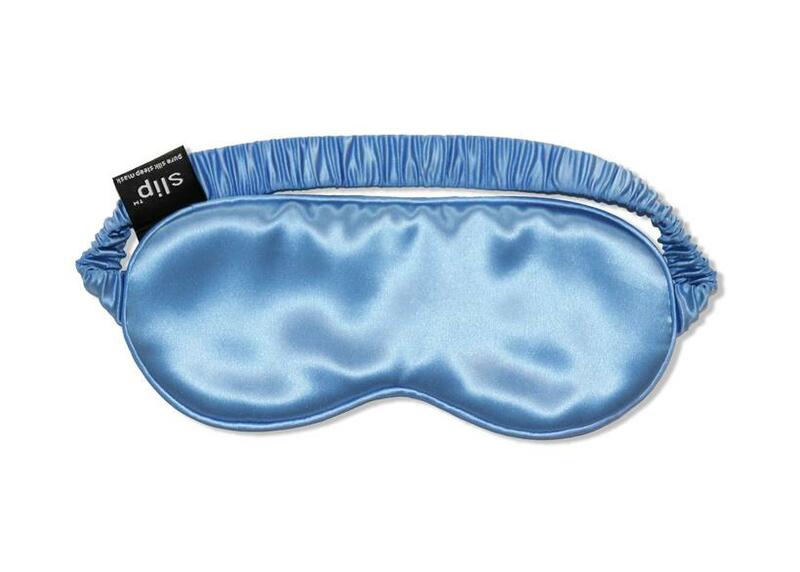 This luxe satin sleep mask will have you snoozing in serious style. Invest in moldable silicone earplugs for the best possible fit — these ones come very well reviewed on Amazon! In all caps with two exclamation points for a reason — we’re all gonna get hangry eventually, so keep your favorite snacks close by for emergencies! The best part of settling in. Decorate to your heart’s content! 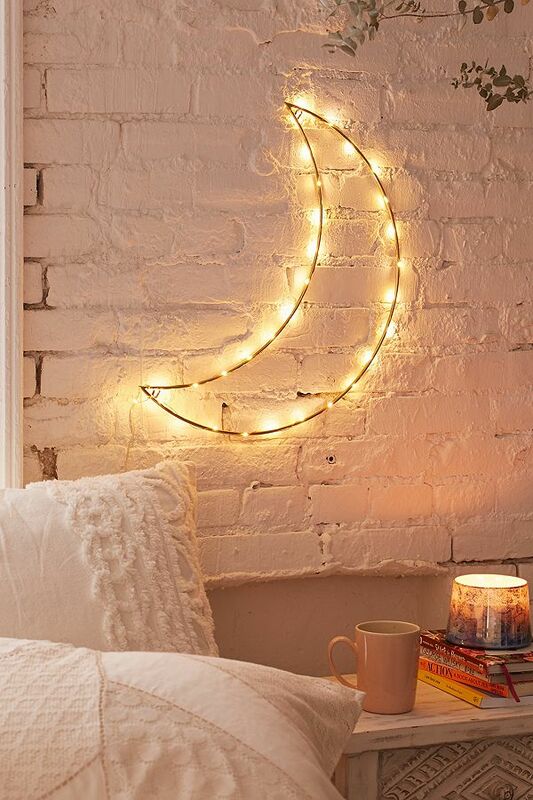 This moon light doubles as art for your walls while giving you soft ambient lighting. 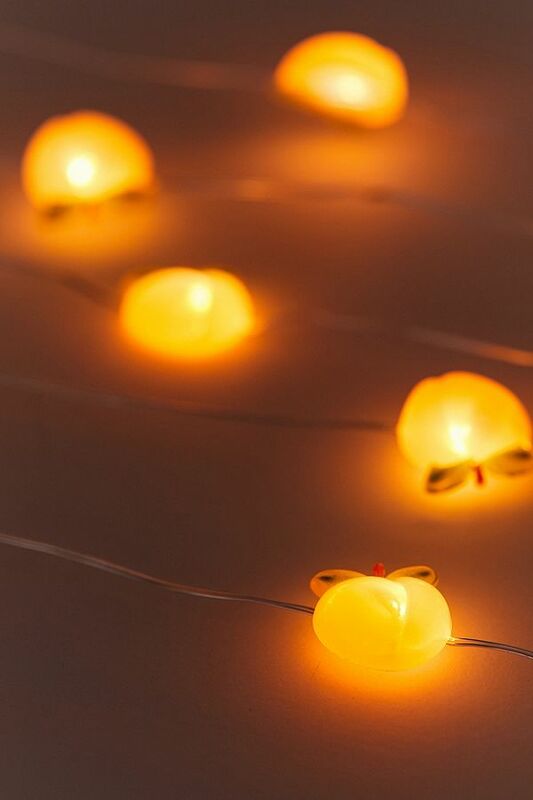 How cute are these peach string lights?! A must for emoji fans. Summa summa summatime! Hopefully this has been/will be helpful for all your back-to-school needs! Shopping around in the next few weeks? Keep this link bookmarked for reference, and keep an eye out for more articles! 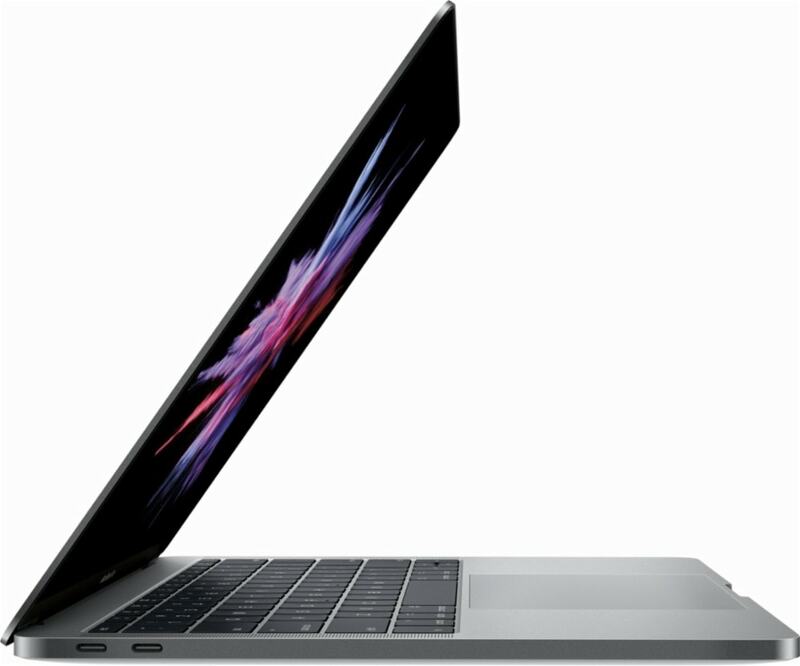 Next time we’ll give you a rundown of the Best Laptops for College. Please, let us know if this helped you out! Got any other suggestions? We’ll add ’em to the list. 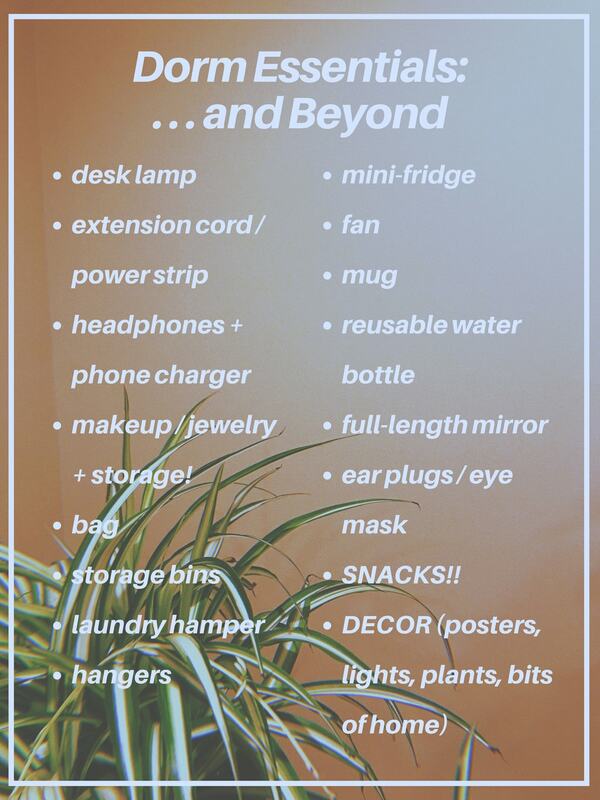 And tell us: What are your top five items for packing? What are you most looking forward to about going back to school? Let’s talk in the comments!